The Grex X4000 is a precision-built, highly efficient, full sized spray gun with superior atomization that won’t break the bank. With a wide range of nozzle sizes available, spray virtually any material from primer, base to clear coats. 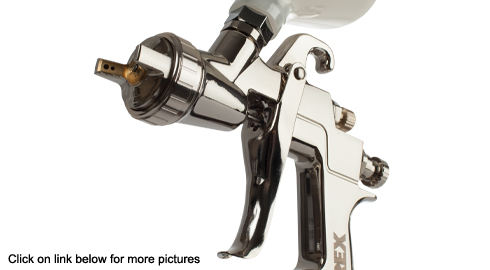 A truly versatile and high performance spray gun that you’d expect from Grex. - Designed for precise control of detailed work. - Low air consumption with superior atomization. - Robust nozzle for improved centering and strength.